Public attention about 5G has been focused on the plans of telecom companies to install millions of small cell towers on electric utility poles, on public buildings and schools, on bus stop shelters, in public parks, and in local urban communities where there would be a cell tower approximately every 500 feet along every street. As bad as these small cell towers might seem from the standpoint of constant exposure to radio frequency (RF) radiation in close proximity to the source, perhaps an even more alarming prospect will be the beaming of millimeter length microwaves at the earth from thousands of new communication satellites. The FCC gave approval to SpaceX on March 29, 2018, to launch 4,425 satellites into low orbit around the Earth. The total number of satellites that is expected to be put into low and high orbit by several companies will be 20,000 satellites. To put this into perspective, as of September 2017 there were 1,738 operating satellites into orbit around the Earth. This means the number of satellites will be 11 times greater than the current number. 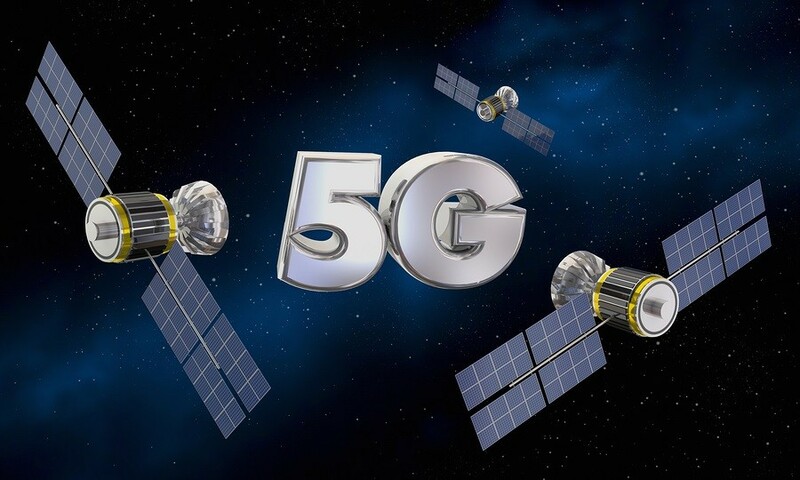 These satellites will send tightly focused beams of intense microwave radiation at each specific 5G device that is on the Earth and each device will send a beam of radiation back to the satellite. No one will be free from exposure. These two words could defeat 5G either before or shortly after cell phone service is rolled out in 31 cities this summer: "5G Diarrhea." Schematically, the process looks like this: 5G--->.generates ground level POSITIVELY charged ozone--->POSITIVELY charged potassium ions are repelled---> diarrhea and cramps follow. The diarrhea willl continue as long as the towers are turned on or until the person dies. Note that there is no long lead time for the diarrhea, unlike cancer and the rest. Some people will have brown spots on their khakis at work. Others will be at home sleeping when struck. Busy airports will smell like an indoor privy due to the high levels of 5G Diarrhea. Let's face it - people accept the risk of cancer. Trying to scare them about it won't be effective enough to stop 5G. The shame and disgust from feces running down their legs is a different matter. Always highlight "5G DIARRHEA" in any discussion about 5G. Even if the telecoms refuse to delay their roll outs due to the threat of diarrhea, by having more people refusing to order 5G for this excellent reason, it might lessen the impact of 5G some. Time to call the Senators and Representative. In Revelation, God says, "I will destroy those who destroy the earth". The technology described in this article has got to be one of the major destroyers of the earth. It also warrants an uprising. It is ridiculous that a government agency thinks it can tell all the cities and all the people of this nation they can't be concerned about their health. People should call the reps, and everyone should quit paying taxes. Those in the FCC responsible, and in industry, should just be arrested for conspiracy and thrown in jail. Microwave radiation is completely natural and floods all of space. Every time you turn on your 1500 Watt Microwave it beams radiation into your food and all over your house. Yet cancer rates keep dropping. Why? Cause Microwaves are natural and put in our universe by our creator. No, you're microwave is designed to specifically NOT beam radiation all over your house. Note the solid metal box, except for the grating front that utilizes EMF wave properties to cause deconstructive interference that cancels out the radiation it emits. I could go into the quantum physics of single/double hole interference, but it would be better if you looked it up and did the math yourself sometime. No, Michael, natural radiation is very different in many ways from the kind made by man and used by the telecom. corporations. Life evolved while exposed to non-pulsing, non-modulating very low frequency radiation. Yes, this type of radiation from the sun can cause damage our skin if we are over-exposed but we can go inside our "caves" and escape, but it doesn't penetrate our skulls to radiate our brains or our bodies mutating the eggs carried in baby girls' ovaries. This is not true. If you understand communication systems, they're ALL land based, point to point communications. There are NO satellites! You've been lied to! They use antennas! They can't even land a man on the moon. Google uses balloons with cameras for photo imaging. It's all land based reason why they're putting small cells on towers to handle the millimeter microwaves. Don't bring that crap (modem) into your home! I have a correction to your article. Scientific and medical research is already abundant and makes abundantly clear that 5G is very harmful to health. Research will be ongoing but we do not need to wait any longer. Please read the two links below for references to research. Underground is an option. 5G and any other UHF signals do not penetrate solid earth. Not the nicest way to live but it works. This artical is slightly incorrect. The higher the frequency the less likely the signal will penetrate buildings. For example AM radio (kHz) stations travel for hundreds of miles while FM radio and cell phone towers (MHz) die off before that. 5G is millimeter so higher frequency. Not saying this will or will not hurt u but it is just physics. Now we know why the elite all have GINORMOUS underground bunkers. Rev 6 "15 Then the kings of he earth, the nobles, the commanders, the rich, the mighty, and every slave and free man, hid in the caves and among the rocks of the mountains. " We must not only stop 5G but also stop using earlier generations of mobile communication systems like 4G and 3G. We have to collectively as humanity come together and take a decision to stop this. Technology is going too far. Do we really need this? It is a crime that people have been so dumb down they can not understand who they are.If people were to wake up and be taught who they are we not have to have this conversation. We are the ones that are in control if you know who you are. Governments politicians are our servants not the other way around. When you confront them as a man or woman they must follow your instructions because the cannon law they are operating in states they can do no harm to men and women, of course about 1 % of the population only know who they are. They are doing harm to us and need to be stopped. You sue the man or woman that is in charge,not the corporation it is a fictional name only it owns nothing. Suing the CEO or President works, and all this crap going on is treason against everyone on the planet. They can not jail millions of people standing up for their rights, and they can not take your rights away because quite simply they did not give them to you. No other man can force another man to do what he wants unless it is by consent. You must begin learning who you are NOW to stop these corrupt jackels. Start taking them to court immediately and see them run, remember, lawyers(liars) are not allowed in court to testify because they do not have any first hand knowledge, they only believe what their client ells them, hearsay, not allowed. This is the only way to save ourselves, because you can right all the letters and complaints you want, they do not listen and in most cases do not even read them, action is the only remedy. The greed of man full throttle hell bent on total destruction! Of the Devil and demons from the pits of hell. Sad...this goes beyond human involvement... think about it... this is not of man. The proposed LEO communications satellites are not "5G". These satellites use the Ka and Ku bands, just like broadcast TV providers such as Dish Network or DirecTV. These frequencies can be blocked simply enough by using paper. They are most definitely not penetrating walls or roofs. The author has confused two different sets of technology. From the comments here I can tell this readership is afraid of radiation. I can't fix that. That doesn't mean it is OK to get basic facts wrong. Cancer and health risks are nothing. Wait until someone learns to modulate the signal to affect brain waves. Anna, I am starting to come to the conclusion that life on earth will not end from an engineered virus but from our electronics and plastics. First stop calling RF radiation, because people think its ionized radiation like from the sun or nuclear, its not, its electromagnetism and its everywhere. matter of fact electromagnetism is everywhere, even in the quantum nothingness, for you wannabe Albert Einsteins. A radio waves frequency is far from light, and far from a particle as far as the frequency it radiates at. If you knew how much RF is around you you'd sure be dead if claims of RF is that bad, not saying its not harmful but thats like saying we should block the sun because if you stand in it too long, you'll get cancer. And lastly the engineers that create this stuff and know more then you and I, would you think they would allow their own health and familys health be harmed knowing that 5G technology would be harmful. They would be exposed too and even the politicians that approve this stuff. these are low points on the common sense pole but you have to consider these things. Satan's New World Order boys told us long ago (Georgia Guidestones) that they were going to whittle the population down to a "sustainable" (make that MANAGEABLE) size. Well that's the kicker right there. What this will create is an inescapable radiation grid where your specific frequency can be monitored and adjusted. Talk about a mark on your hand or forehead! The rollout of 5G has nothing to do with satellites. The satellites are a completely different comm platform. Mankind has been exposed to these frequencies from the sun for millions of years. Please educate yourselves before getting your tinfoil hats out of whack.